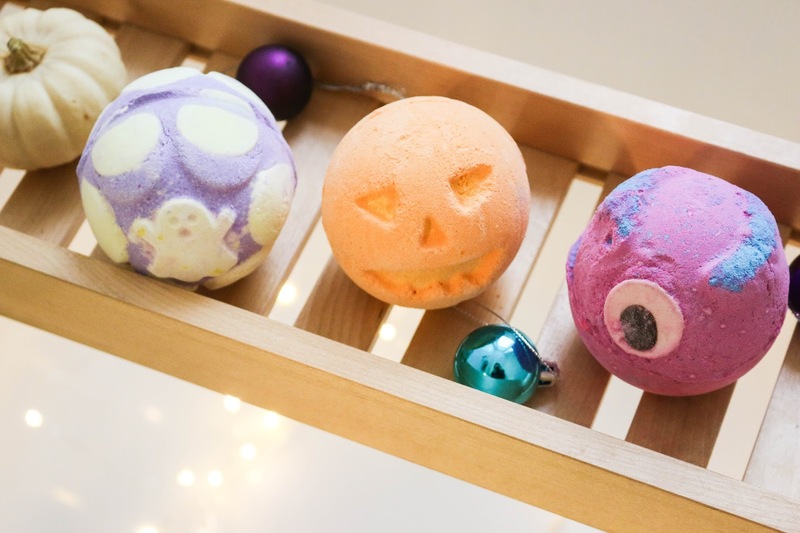 is there anything better than the lush seasonal stock? I don’ think so and I couldn’t wait to get my hands on some Halloween items and I had to wait longer. they didn’t launch right after the lush showcase here. so as soon as I was sure they were up in store, I had to go. sadly, there wasn’t everything I wanted and I had to order some more online so get ready for a part two. the lovely girls at my local lush had at least a 30-minute chat with me about the new items so I had to buy at least a few of them. this right here is part 1 of lush Halloween and part 2 will be up as soon as the other items get here. 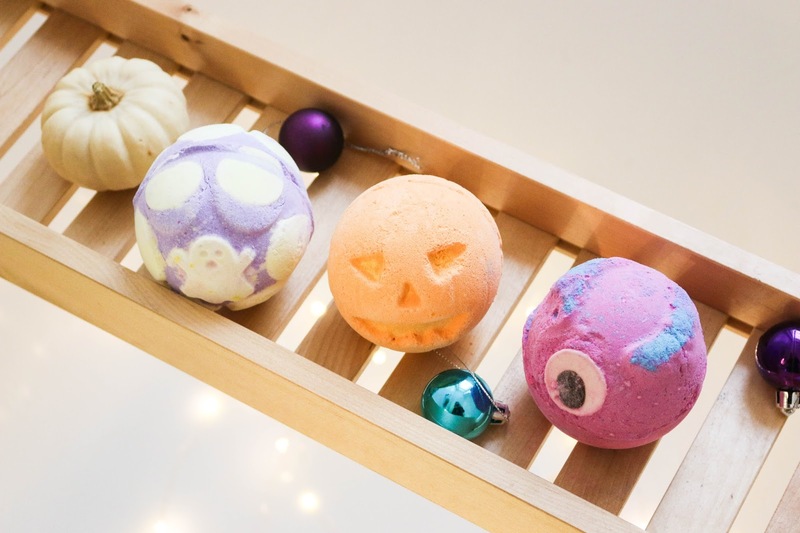 so let’s get ready for the most spooky and seasonal baths you will ever have. the first one I picked up wasn’t actually on my list and it is the ectoplasm jelly bomb. the jelly bombs are fairly new to the lush stock and I already used the dark arts one and I was thrilled about it. it was just so good. jelly bombs are supposed to add a jelly layer to the bath which weirdly makes the water appear thicker and is supposed to be very moisturizing. what really drew me in was the scent of this one. it’s unreal and smells like some sort of sour candy or sweet. it contains Irish moss and grapefruit and I can only hope it smell as amazing when I pop it into the bath. 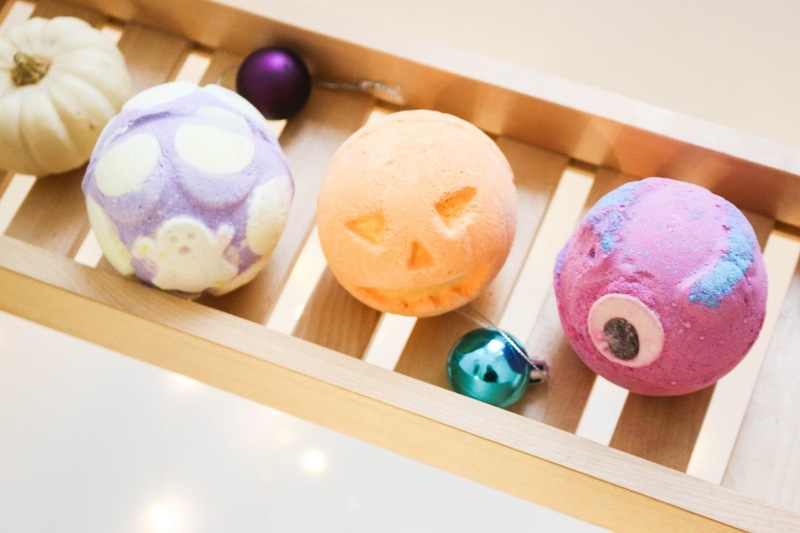 a true Halloween classic is the pumpkin bath bomb. it just looks so festive and I have been getting it every year. to fit the season it’s also very comforting and spicy in scent. it has a lovely pumpkin and cinnamon scent and will surely make for the perfect seasonal bath. the last one is the monsters ball with always reminds me of monsters inc. the colours are so vibrant and fun and I also adore the lime and neroli scents it contains. it really is one of the most fun seasonal bath bombs. 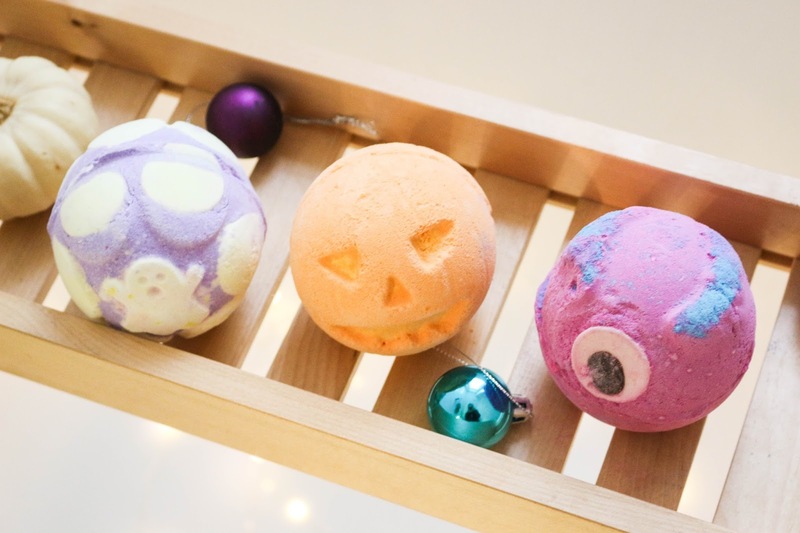 have you gotten any seasonal lush items? what do you think and what are your favourites? please let me know. "Sunay Mood #79 + Vlogtober"
"Sunday Mood #78 + More Vlogtober"